contemporary player’s needs, L6 is equipped with Zero-Impact Pickup to be ready for performance or recording at anytime without sacrificing its traditional look or full acoustic resonance. A.R.E. 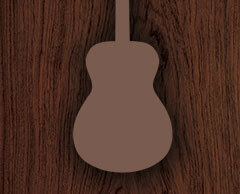 (Acoustic Resonance Enhancement) is an original wood reforming technology developed by Yamaha. Through precise control of temperature, humidity, and atmospheric pressure, the molecular properties of the wood can be manipulated into a more acoustically ideal condition, similar to the molecular characteristics of woods in instruments that have been played for years. 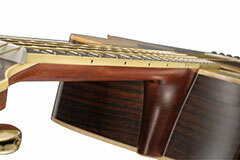 A modified non-scalloped bracing design retains the L series’ characteristic bright tone while enhancing low-end tone. A re-evaluation of string spacing, string height, fingerboard binding, and neck taper led to a new neck shape that better fits today’s traditional players. The new design offers stable grip and smooth playability over the full length of the neck. 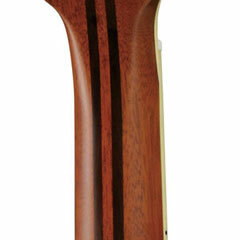 New 5-ply neck designs are constructed of rosewood and mahogany plies. 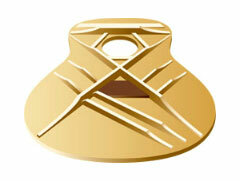 The design integrates the neck, head, and body into a single unit creating a powerful, rich sound. This approach also creates a strong, stable neck that resists twisting and warping. The small-bodied LS has a long history with Yamaha. Featuring excellent tonal balance it delivers a big, confident sound for its size. Its delicate sound is highly recommended for finger-style guitarists.